A cash card is a reloadable card, this is considered as cash without bringing money. Can be reloaded through online banking, using an ATM and over the counter deposits. I loved the fact that you have these option available for psuedo-bread winners like myself. Multi-purpose use for your children's allowance especially those studying away from home, daily expenses, money remittance within the Philippines and for payroll for your small business. What's great about it is that you can only spend the balance on the card, no over spending and any dreaded overdrafts on your credit. Say goodbye to hidden charges and maintaining balances. 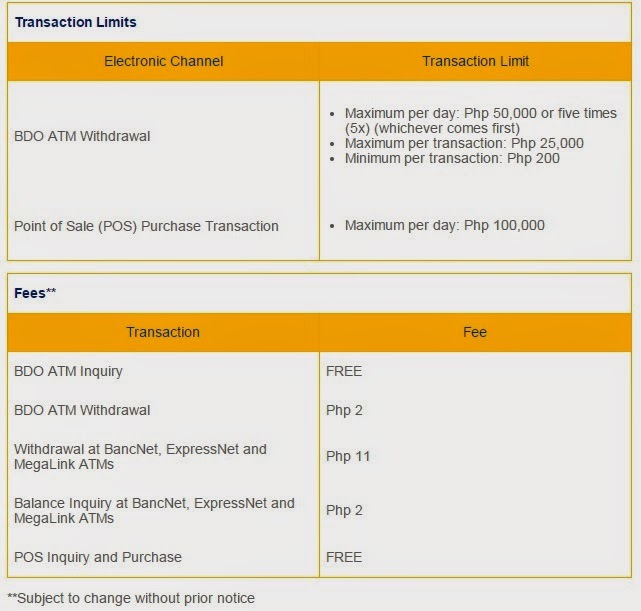 This is best for those who could not reach the Php5k/Php10k minimum requirement in opening a passbook account. Getting to that amount is rather daunting and honestly, some of us can't resist the urge to spend. I was there once and I am a struggling money saver. Last Wednesday, January 7th I visited BDO IT Park to get a cash card with Jessa, 1/12th of the CraZhee Team. I decided to get a cash card for my mother since my old BDO card is no longer valid for use. We were given forms for the Cash Card Application and prepared our IDs for photocopying. After all details have been added to the database, a fee of Php120 per card is asked by the bank teller. We were then given our transaction receipt and is to be used to claim the card after 5 banking days. Here are a few items you need to get through when deciding to get a cash card yourself. And I got mine just today with my name on it! How to Get a BDO Cash Card? 1. Visit the nearest BDO branch in your area. Or you can opt to visit the nearest one from your workplace that way you can just walk over to the bank during payday to deposit money. So you no longer have any excuse why you could not make the necessary deposits when you have extra cash. 2. Bring 2 valid photo IDs. Examples: work ID, any government issued ID such as voter's ID, postal ID, SSS or TIN. 3. Ask for a Cash Card form and fill out the fields neatly. If there are alterations, please sign next to the error. 4. Pay the fee of Php120. Once done, you will be given a reciept and a reminder to return after 5 banking day to claim your cash card.